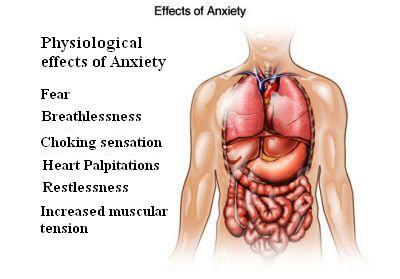 Anxiety may occur with other conditions such as alcohol use disorder , drug abuse , or depression . Practice deep breathing and meditation . Join a support group . Antidepressant efficacy in generalized anxiety disorder. EBSCO DynaMed Plus website. Available at: http://www.dynamed.com/topics/dmp~AN~T900051/Antidepressant-efficacy-in-generalized-anxiety-disorder . Updated September 7, 2016. Accessed January 31, 2018. Generalized anxiety disorder. EBSCO DynaMed Plus website. Available at: http://www.dynamed.com/topics/dmp~AN~T114697/Generalized-anxiety-disorder . Updated December 22, 2017. Accessed January 31, 2018. 11/6/2014 DynaMed Plus Systematic Literature Surveillance http://www.dynamed.com/topics/dmp~AN~T114697/Generalized-anxiety-disorder : Mars B, Heron J, Crane C, et al. Clinical and social outcomes of adolescent self harm: Population based birth cohort study. BMJ. 2014;349:g5954.